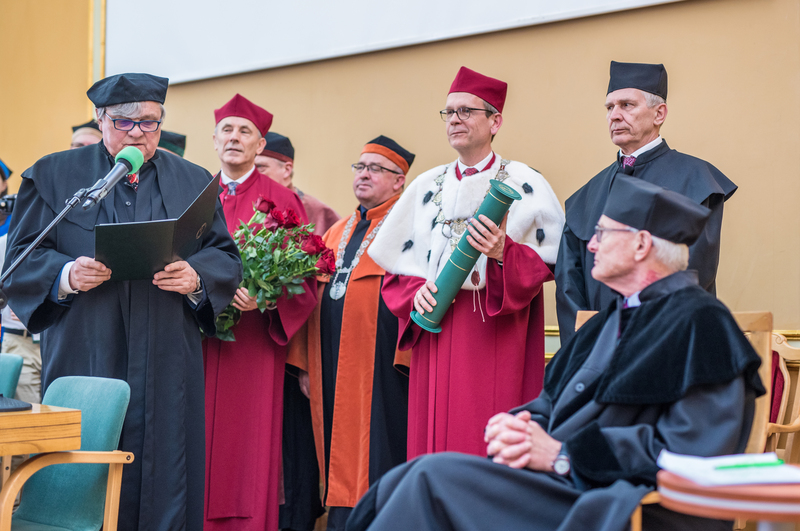 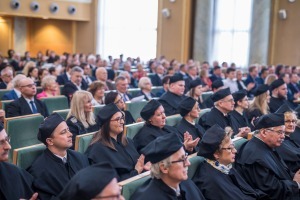 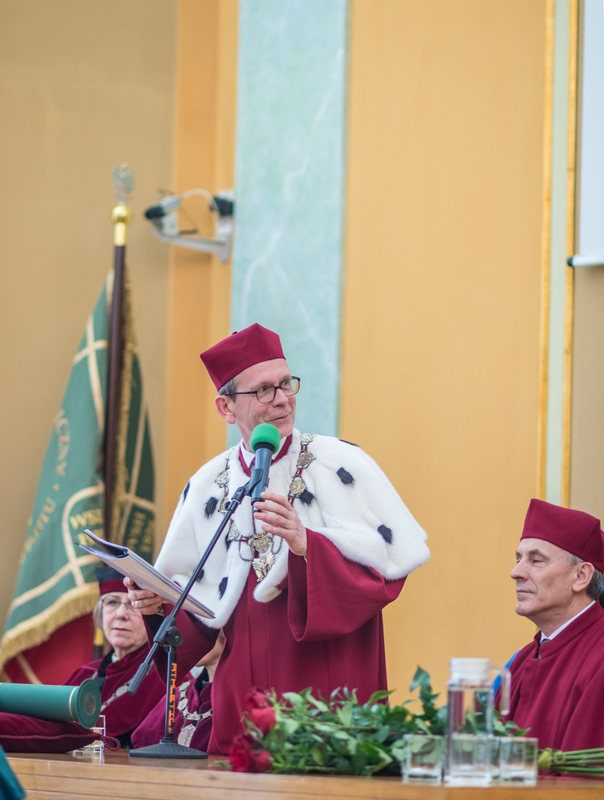 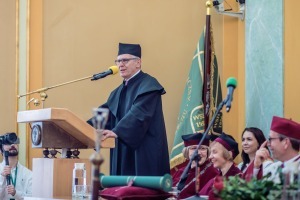 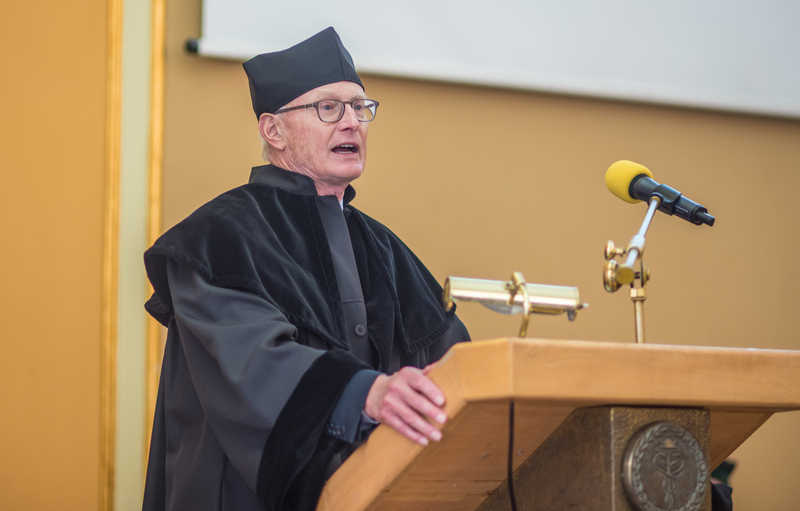 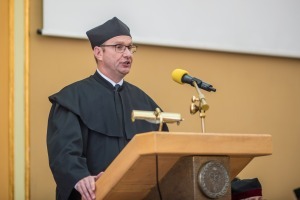 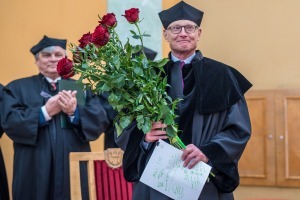 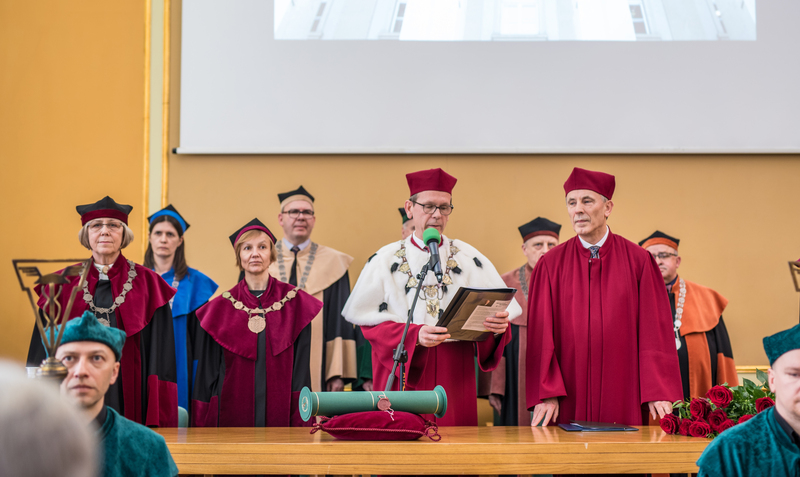 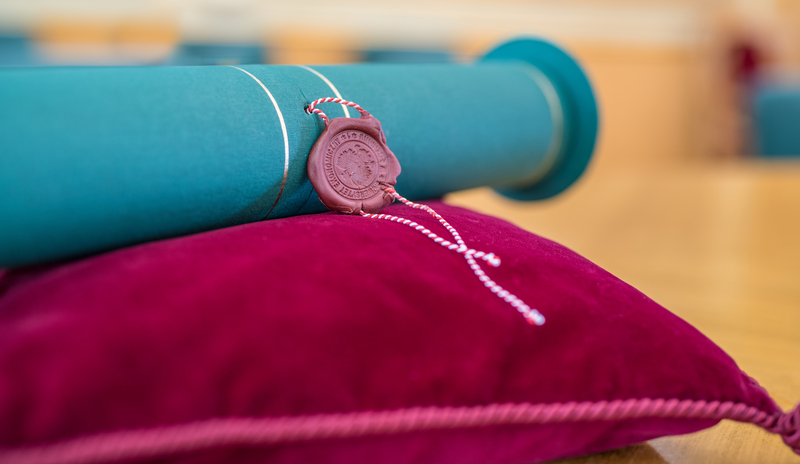 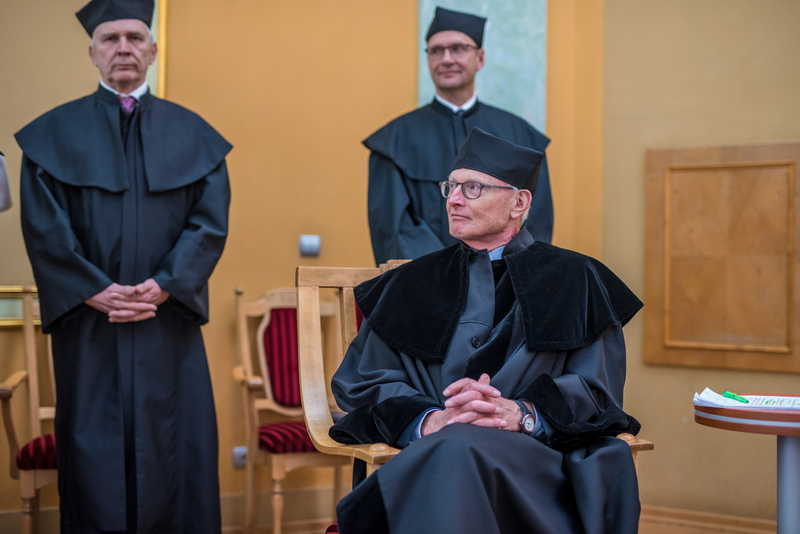 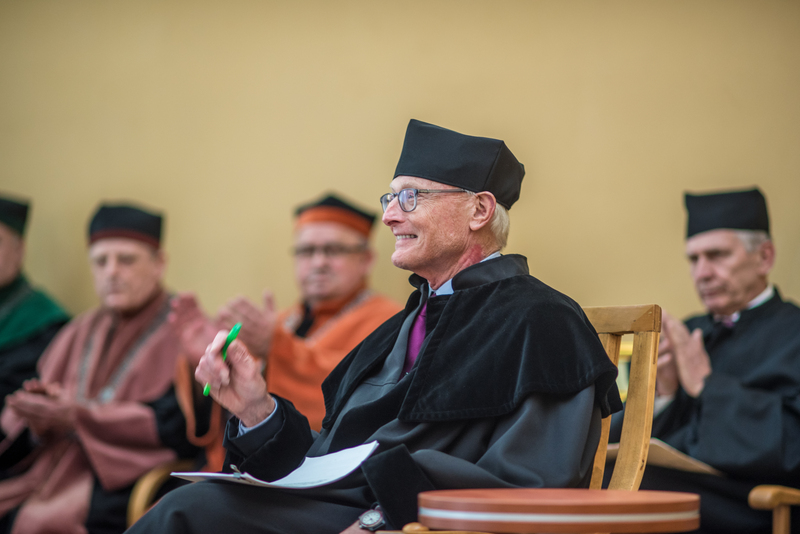 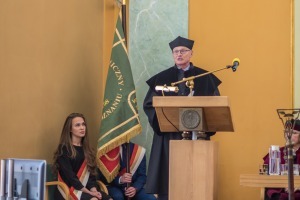 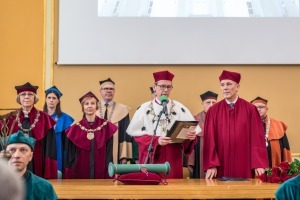 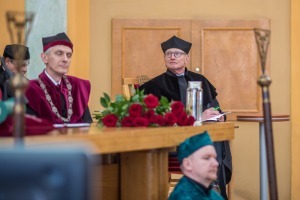 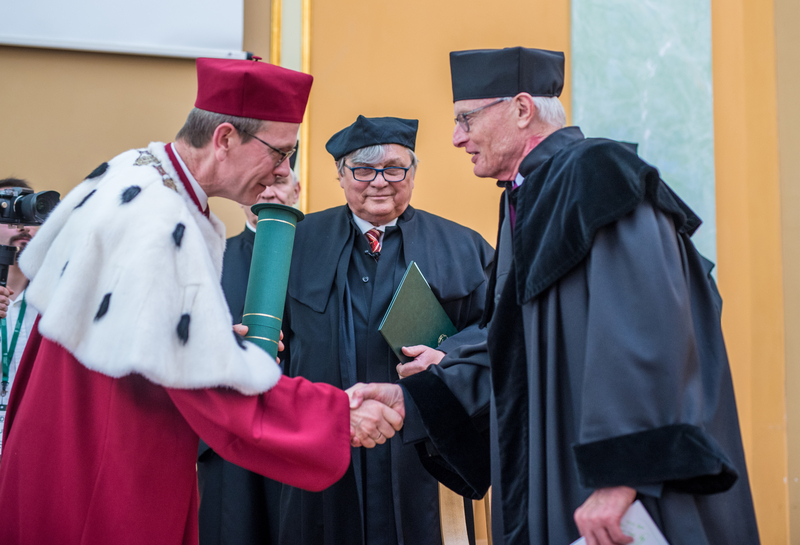 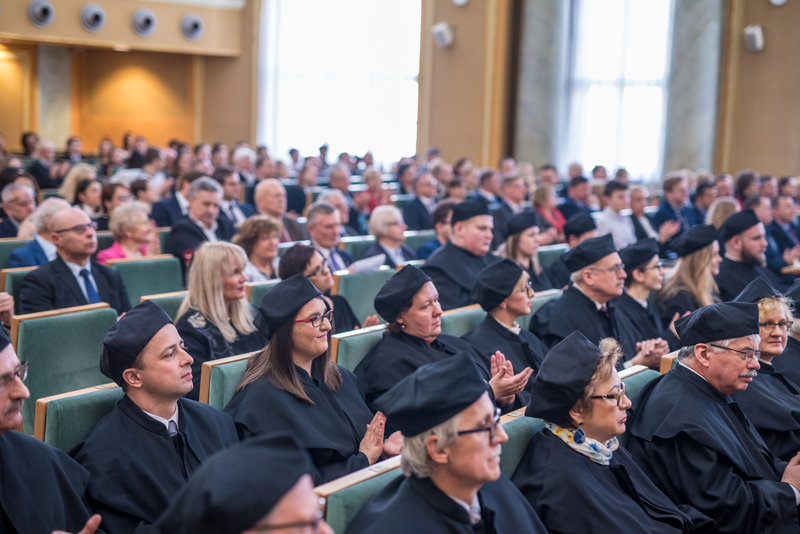 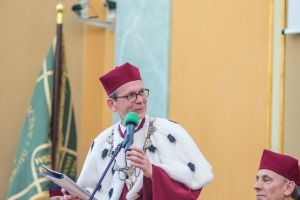 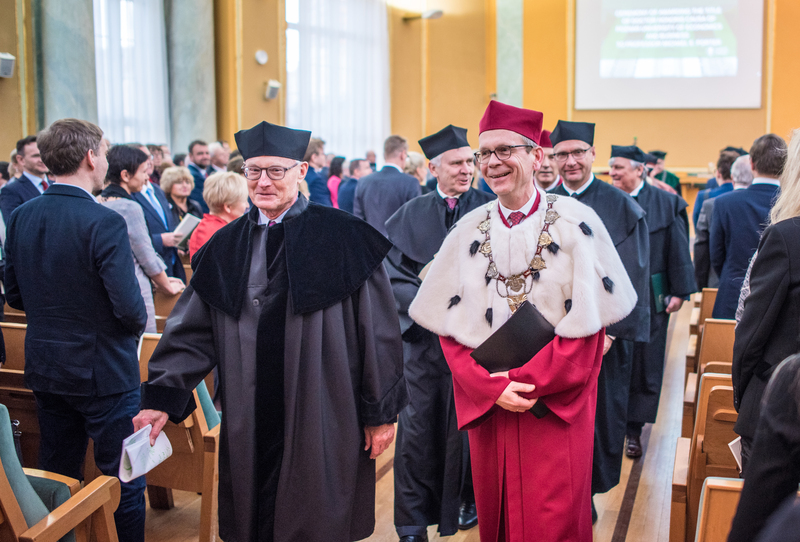 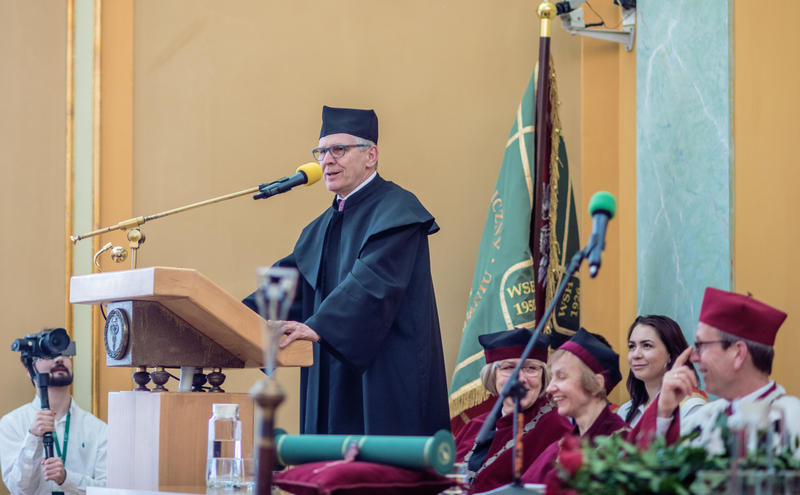 On 19th of March 2019 the ceremony of awarding the title of the Doctor Honoris Causa of the Poznań University of Economics and Business to Professor Michael Porter was held in PUEB. 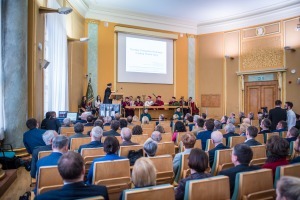 An eminent economist - a world-renowned expert in the field of organization and competition strategy, lecturer at Harvard Business School - received an honorary title in recognition of outstanding scientific achievements, creative influence on business practice and economic policy and contribution to the development of economic sciences. Upon receiving the title he become a valuable member of the group of 24 prominent economists, scholars and politicians, who were given this dignity in the past. 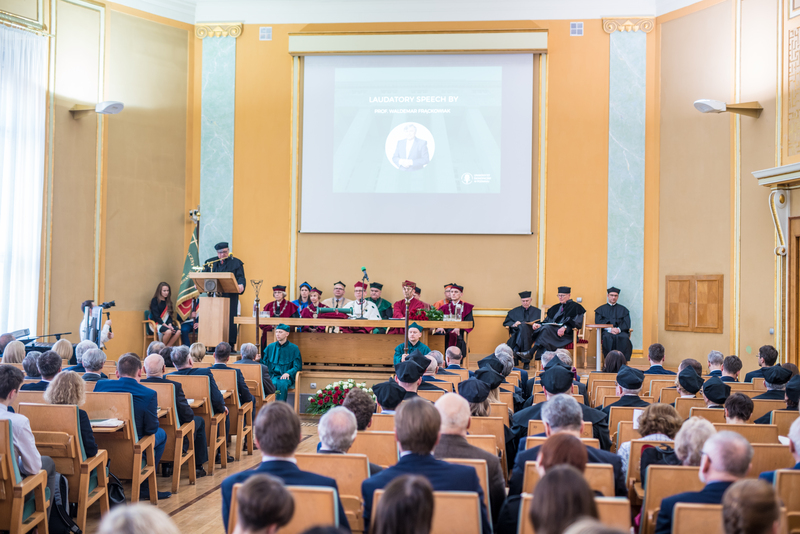 The ceremony was opened by the Rector of the PUEB, prof. Maciej Żukowski, who welcomed numerous representatives of the academic community, prominent figures from business circles and city authorities. 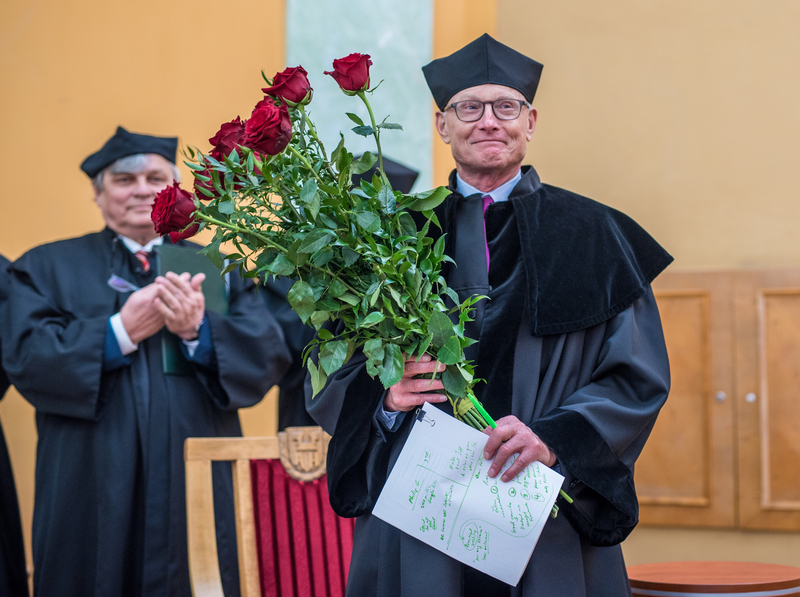 The Professor Michael Porter’s biography was presented in the laudatory speech given by prof. Waldemar Frąckowiak. 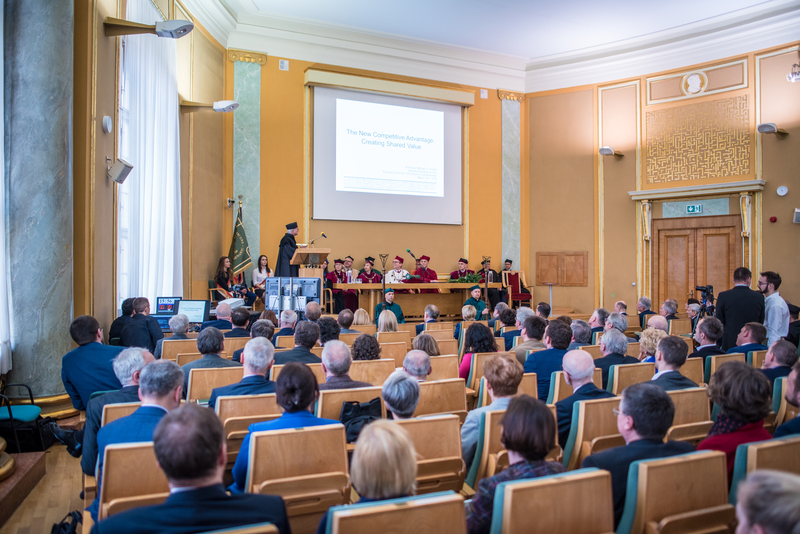 The fine achievements of the eminent economist were also outlined in the speeches of two reviewers - prof. Philippe Gugler from the University of Fribourg and prof. Krzysztof Obłój from the University of Warsaw. 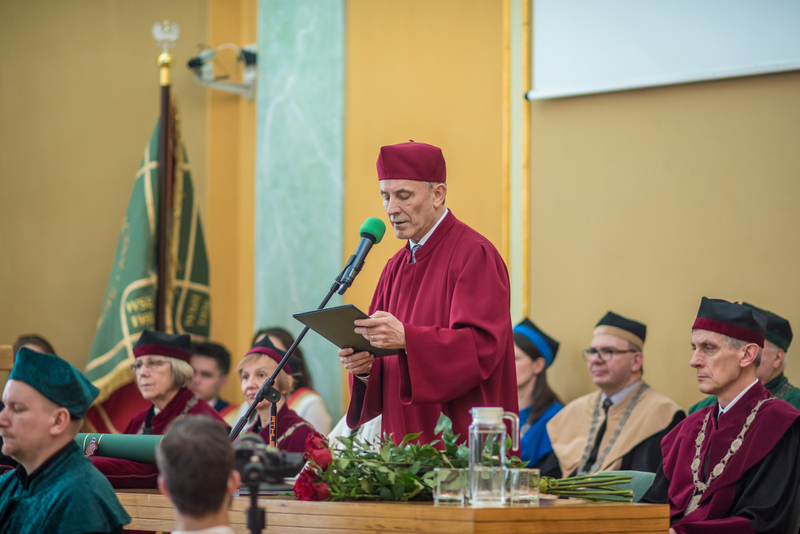 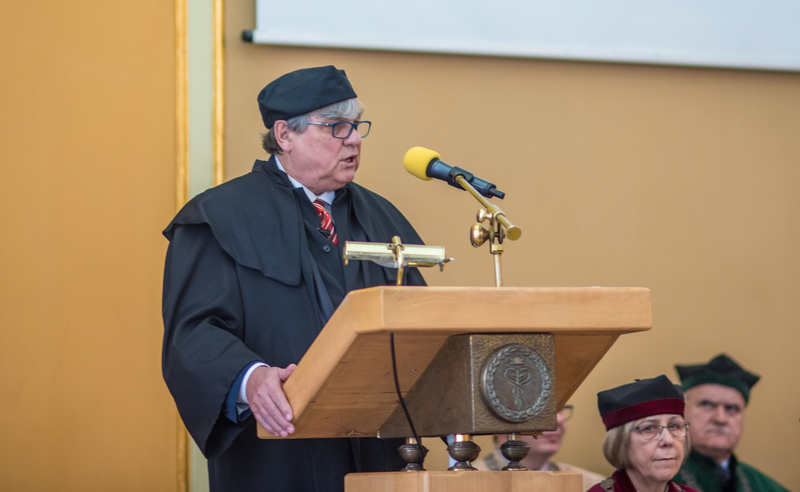 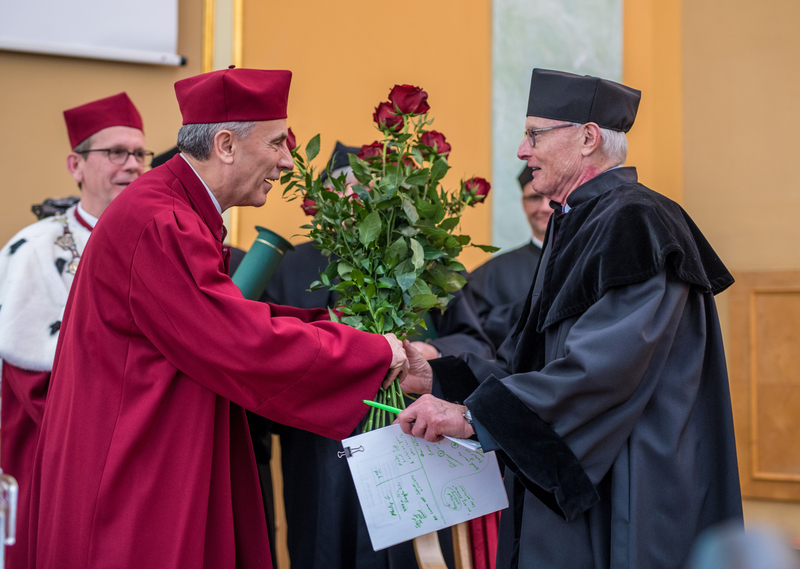 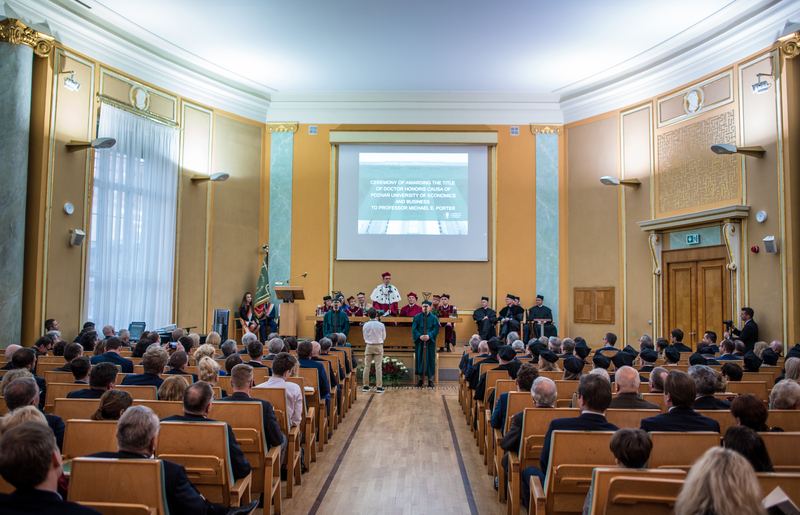 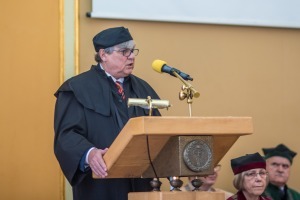 The history of awarding the title of Doctor Honoris Causa to Professor Porter was presented by the initiator of the event - prof. Marian Gorynia. The highly-awaited point of the ceremony was a speech of Professor Michael Porter. The head of the Institute of Strategy and Competitiveness at Harvard Business School referred to the problems that affect the world on a global scale. 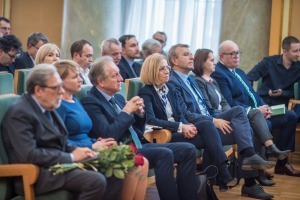 He stressed that economic, social and ecological challenges will not be solved merely by political institutions - the active inclusion of the business world is required. 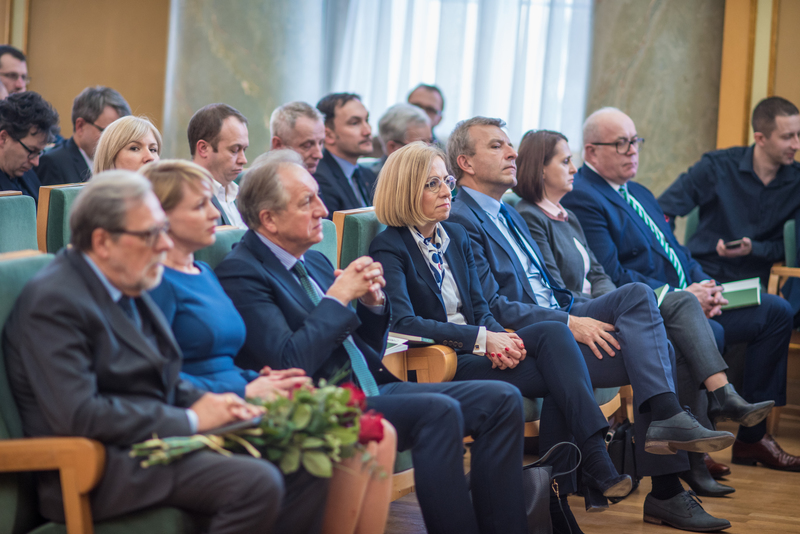 Enterprises have comprehensive tools, competences and resources to participate in creating social and environmental well-being. 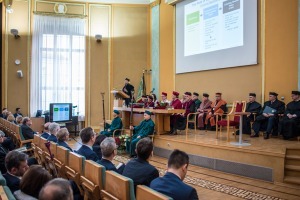 According to the economist, in order for business to deal with large-scale social problems, the principles of optimization and profitability should be implemented. 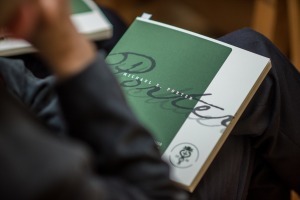 Porter sees the solution in the concept of a value chain in which each participant is a beneficiary, and the emphasis is placed on the permanent, mutual improvement of each element. 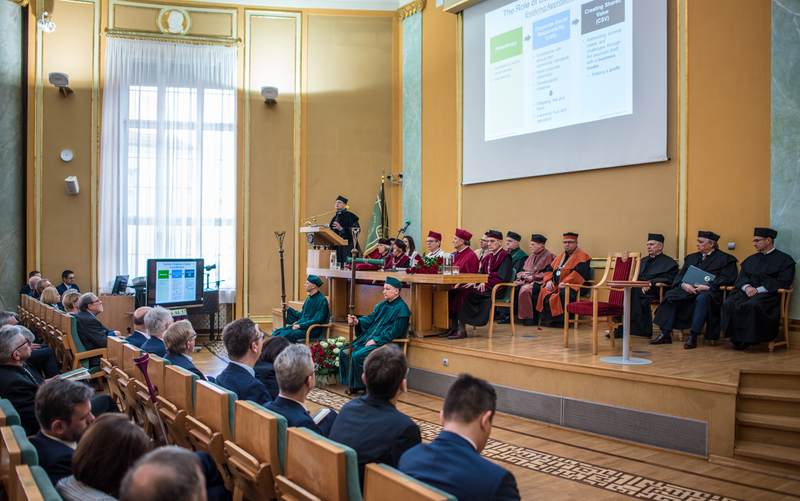 The Professor also emphasized the necessity of rational management of resources and care for the environment. 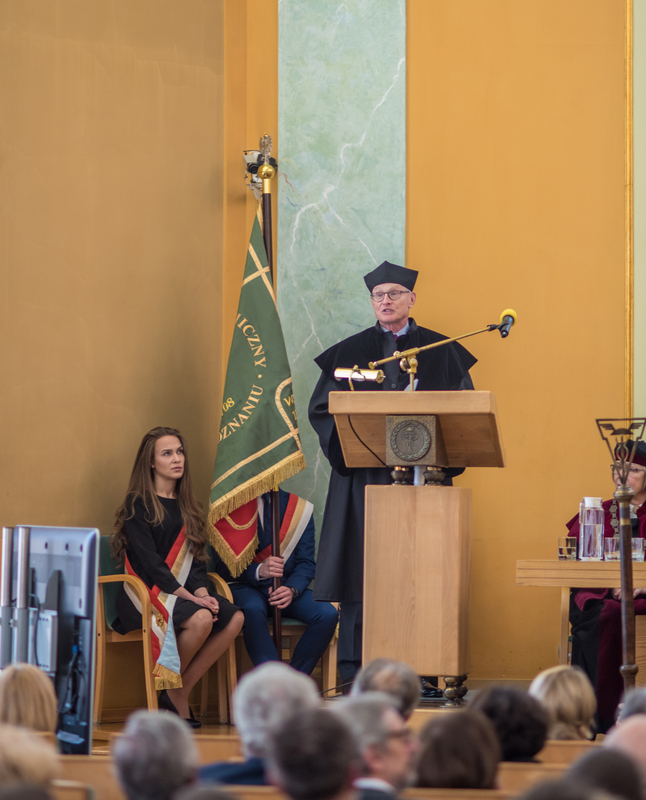 You can see the presentation of Professor Michael E. Porter entitled "The New Competitive Advantage: Creating Shared Value" presented during the ceremony.